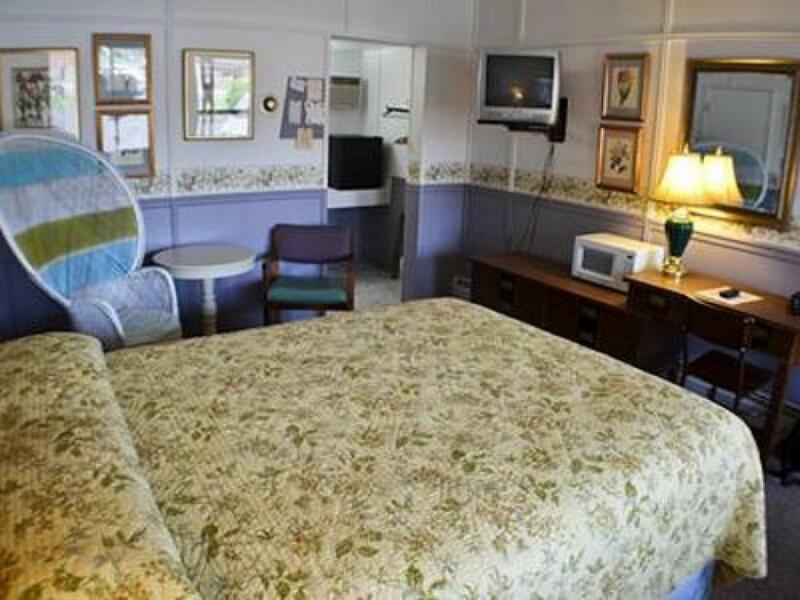 1 queen bed, private bathroom, Air Conditioning, cable TV. 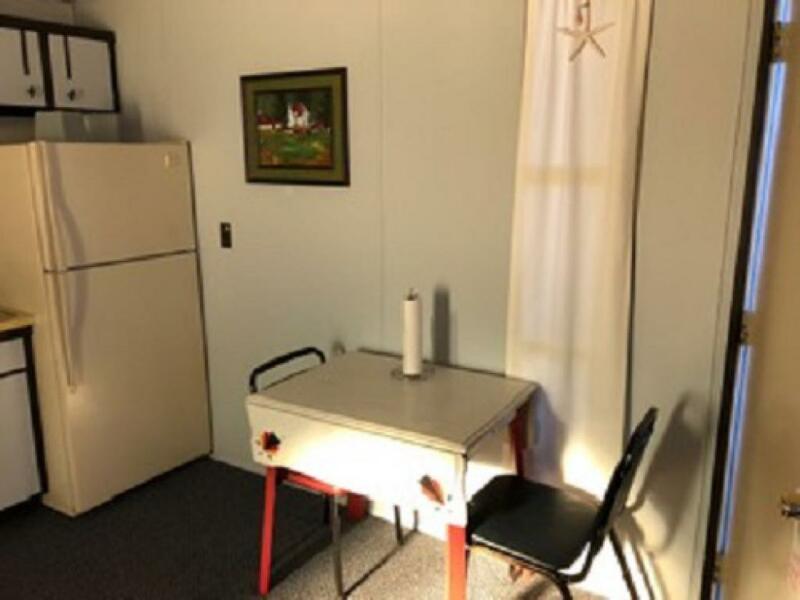 mini fridge & microwave, Free WIFI. 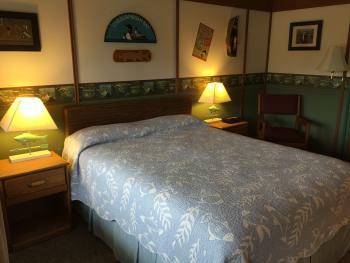 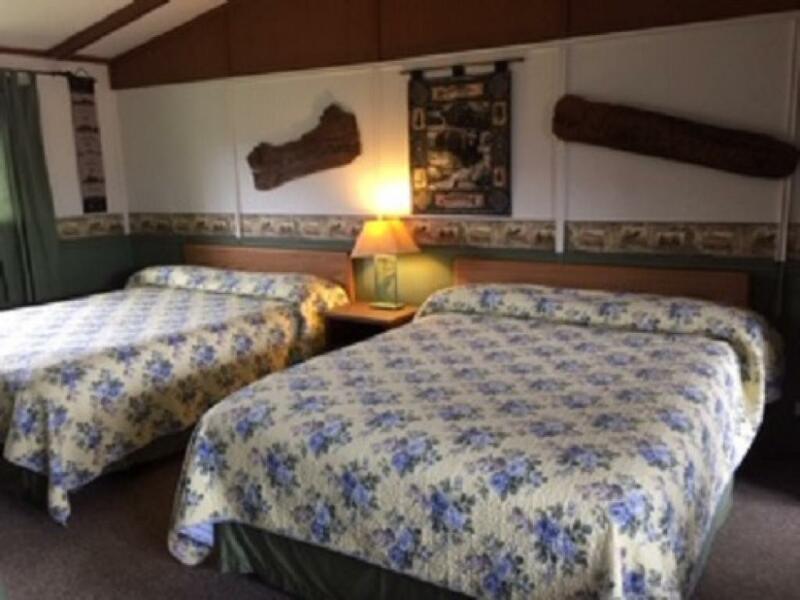 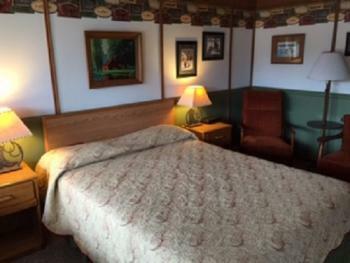 This unique room has a large map of the Chequamegon Forest, enjoy the subtle green themed room. 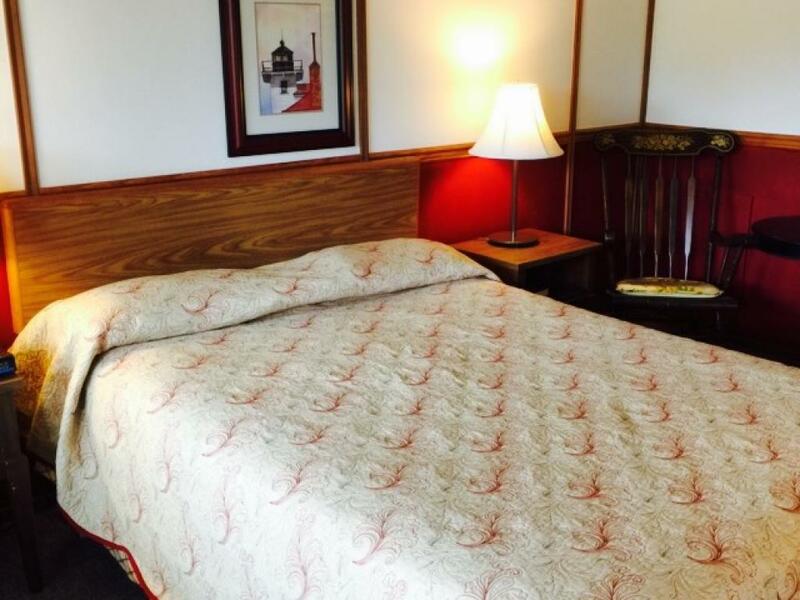 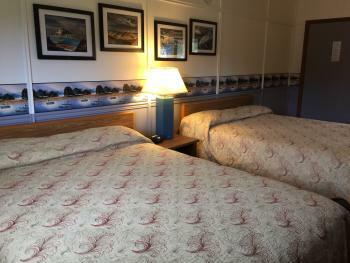 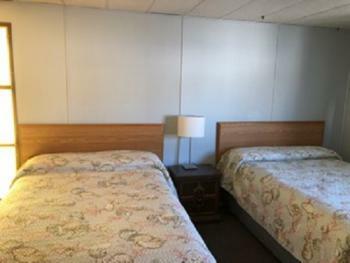 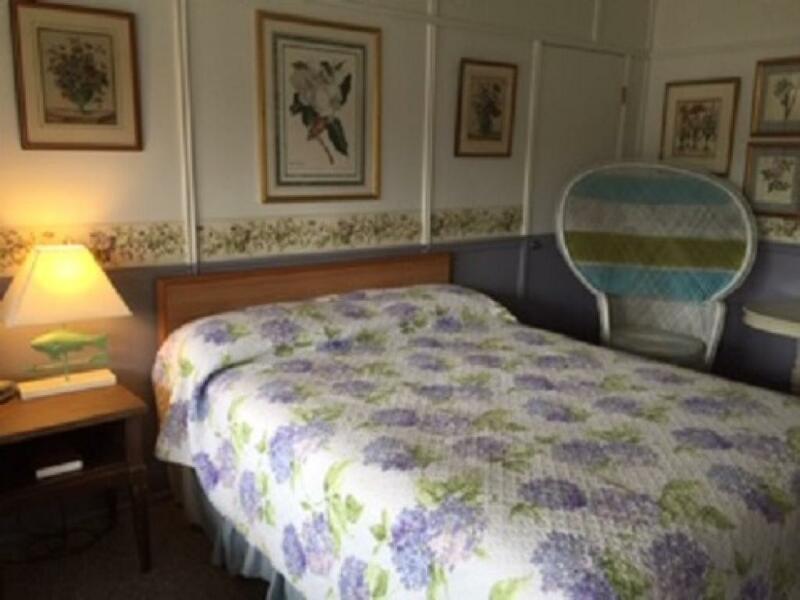 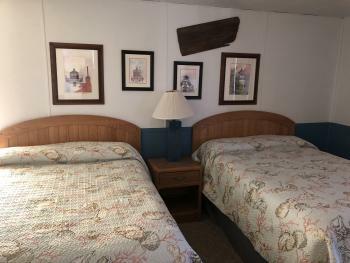 1 queen bed, private bathroom,Air conditioning, cable TV mini-fridge & microwave, Free WIFI, Head back in time to "Old Bayfield" and enjoy the historical photographs and unique room decor. 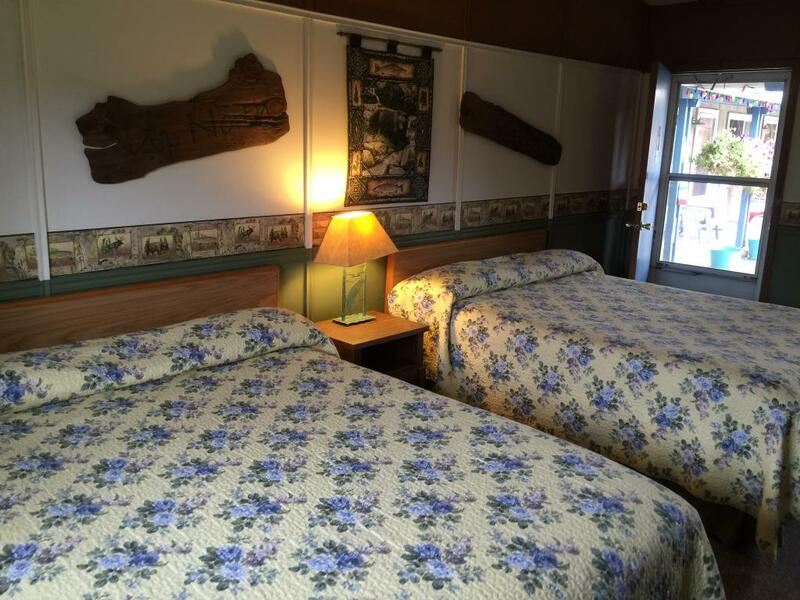 1 queen bed, private bathroom,Air Conditioning, cable TV ,mini-fridge & microwave,free Wifi, Fishing decor. 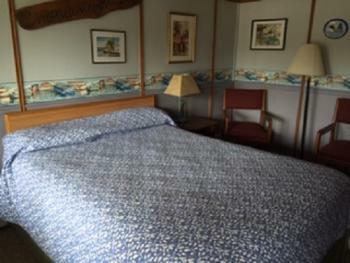 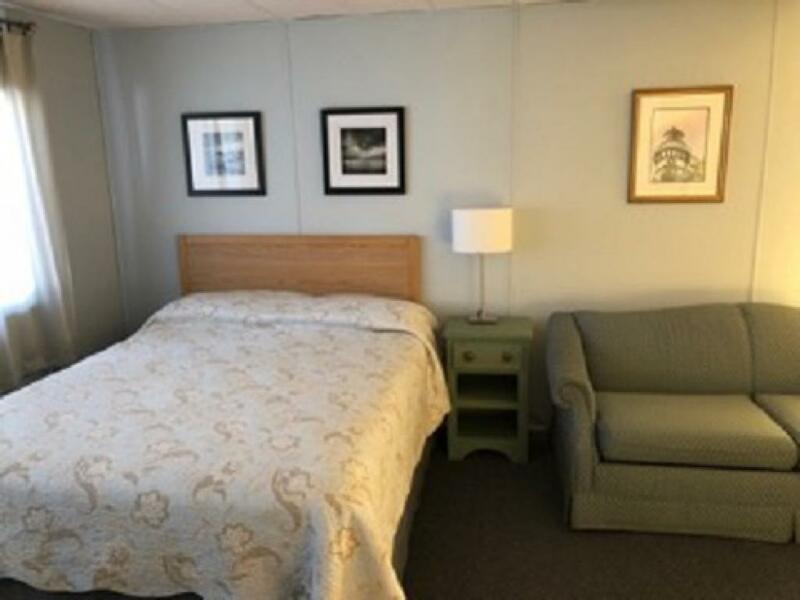 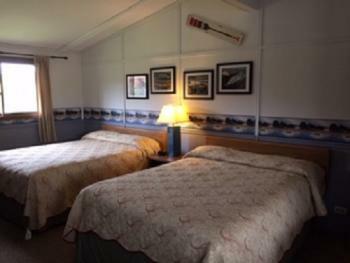 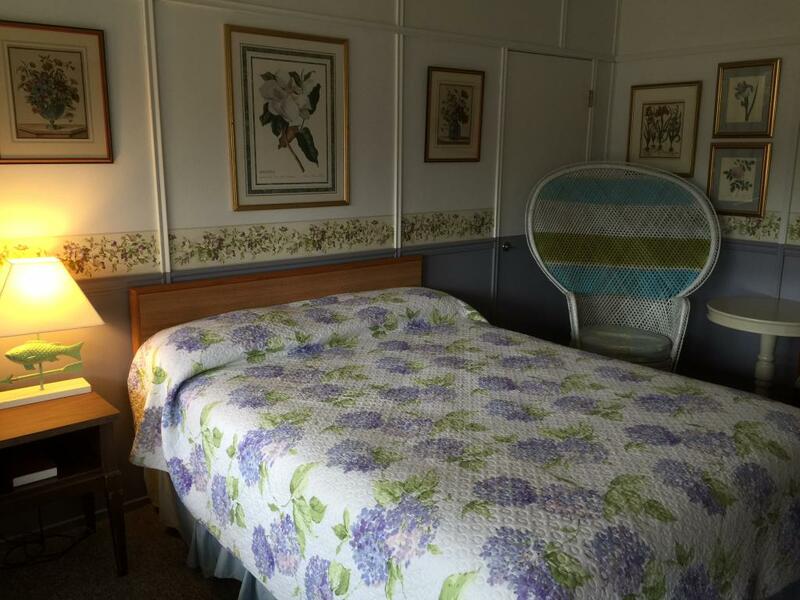 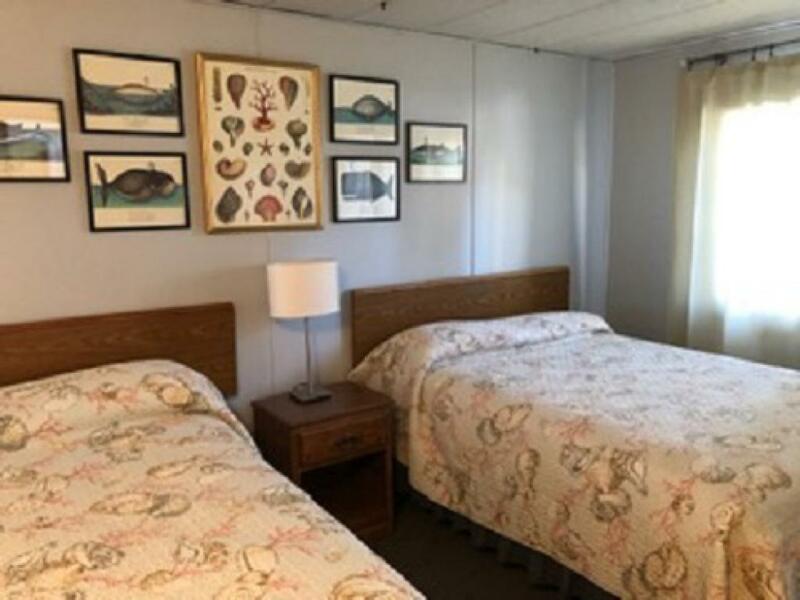 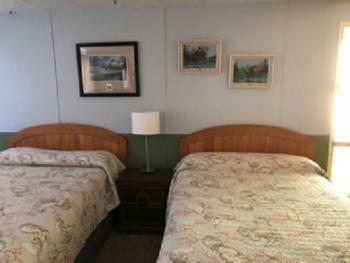 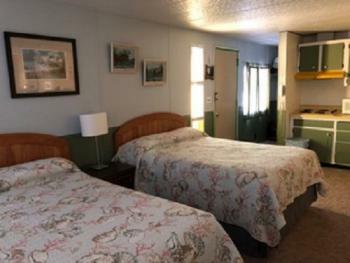 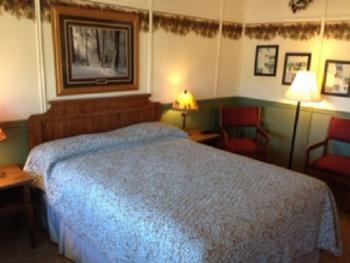 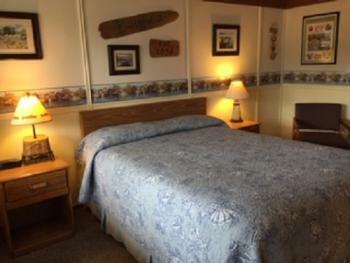 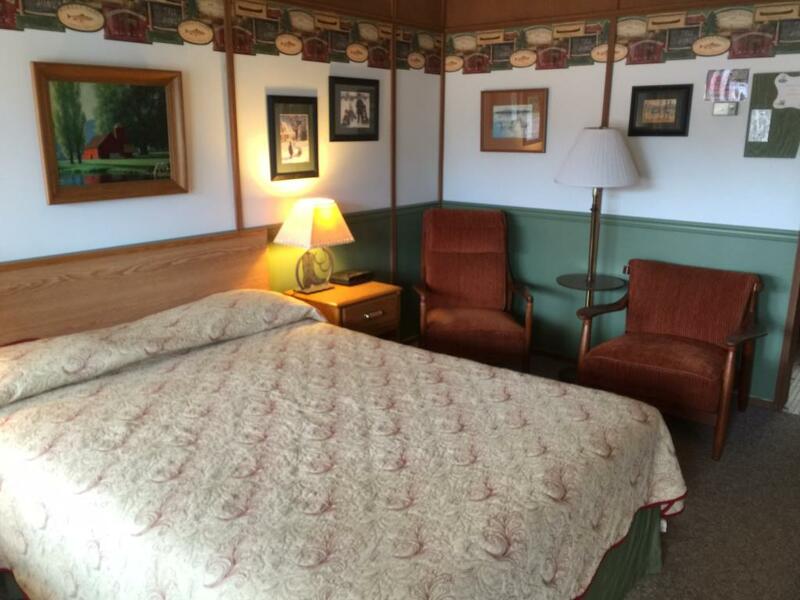 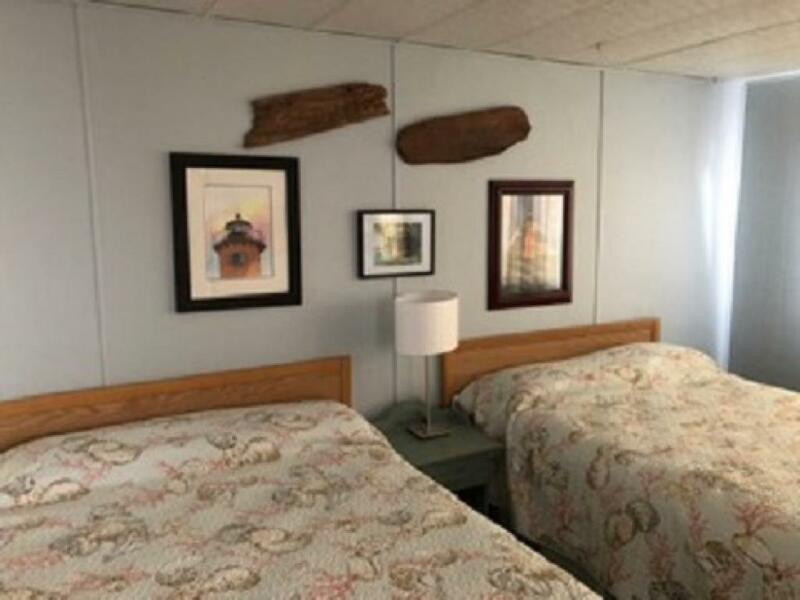 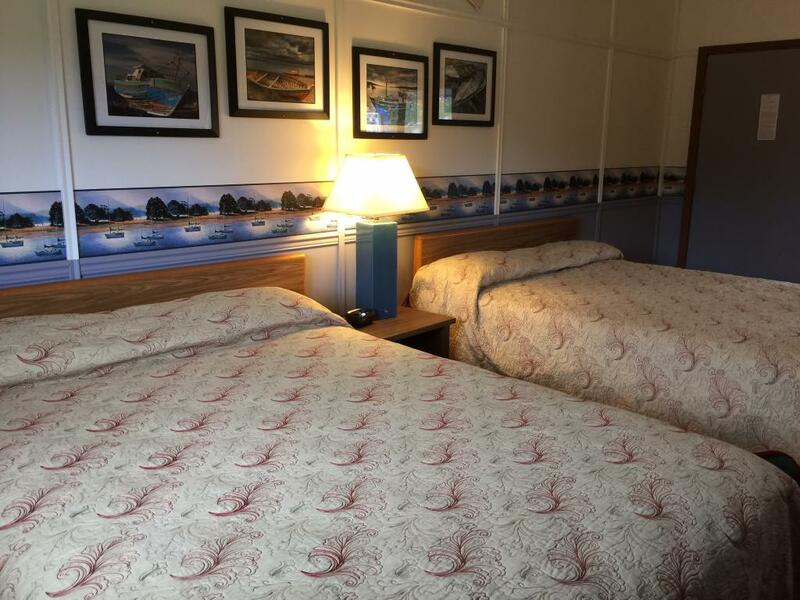 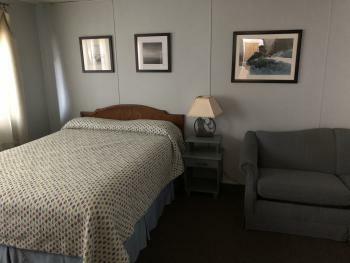 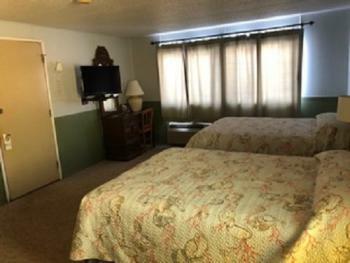 Fly fishing decor with 2 Queen beds,Air Conditioning, cable tv, mini fridge & microwave,Free Wifi. 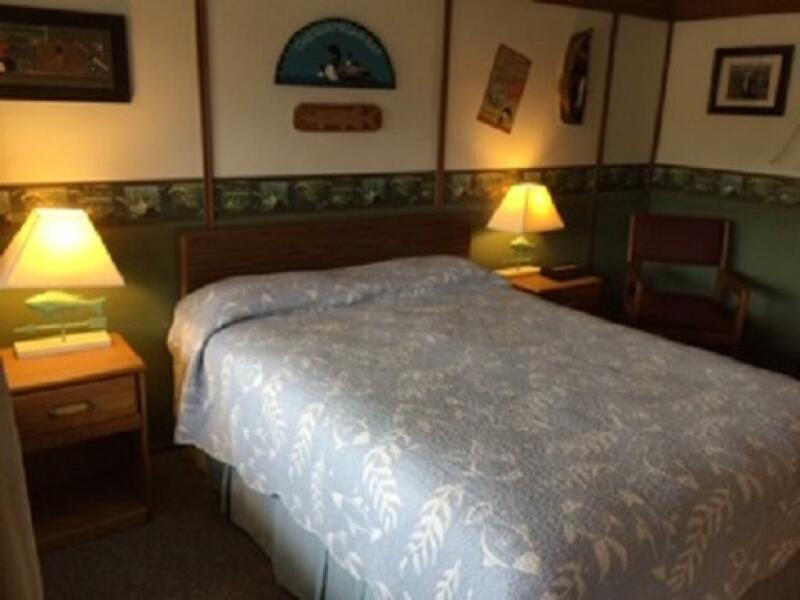 Reminisce about catching fish in the old days with bamboo poles and a fishing creel. 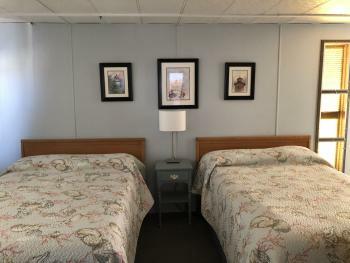 "If you are too busy to fish, you're too busy!" 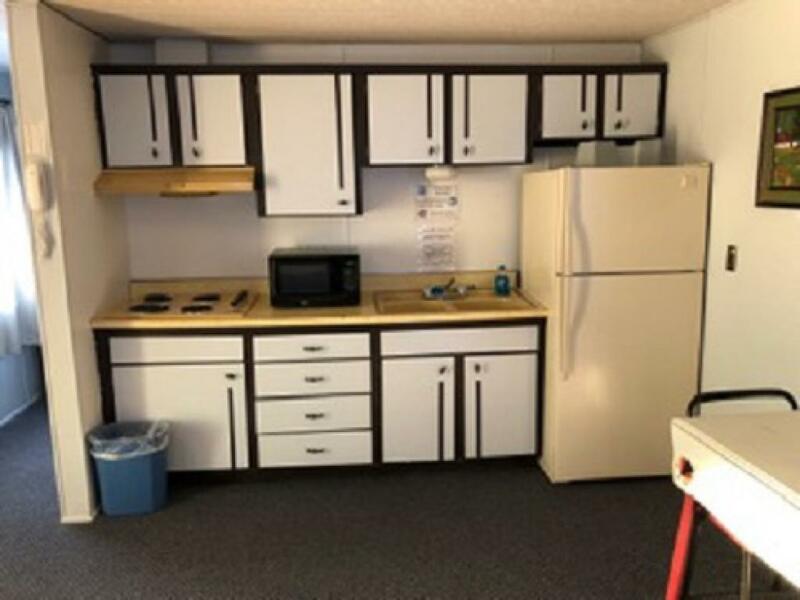 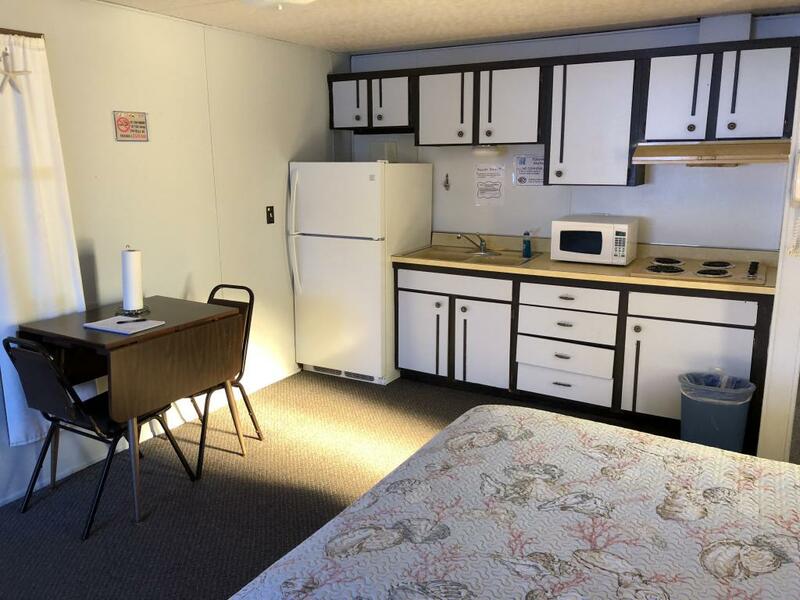 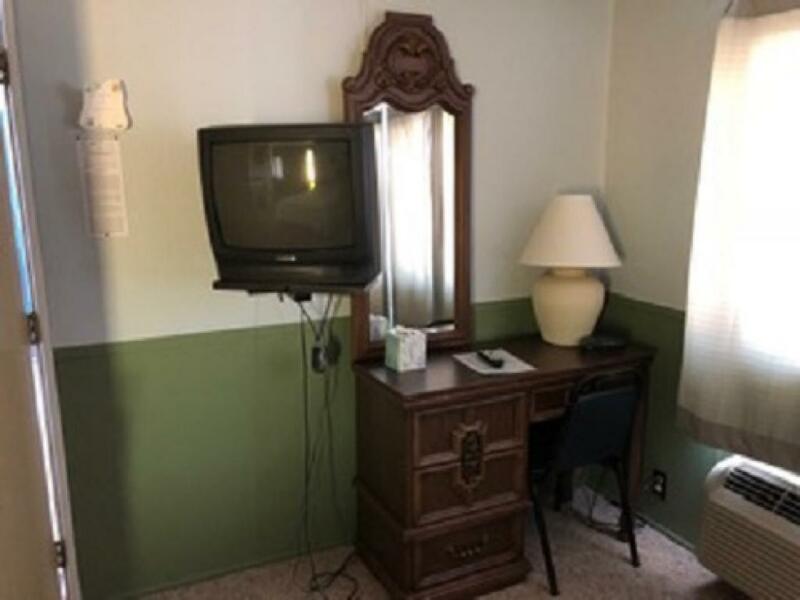 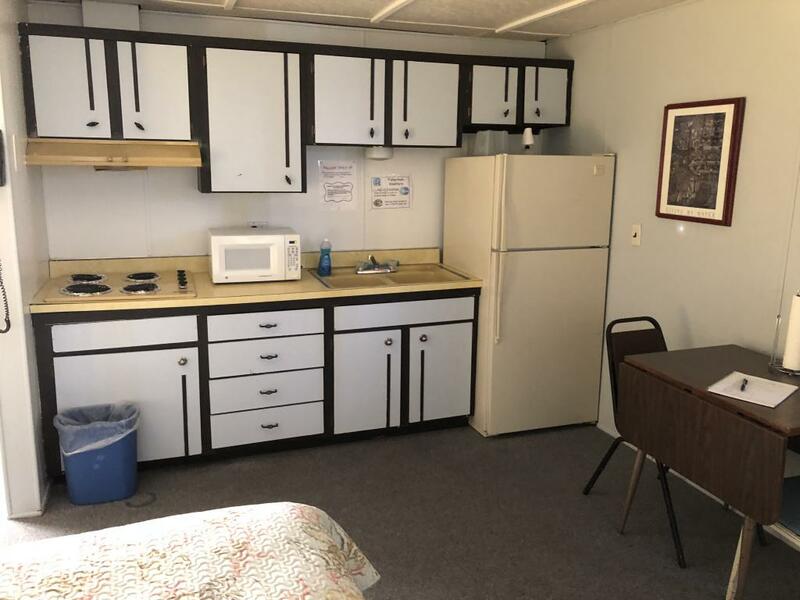 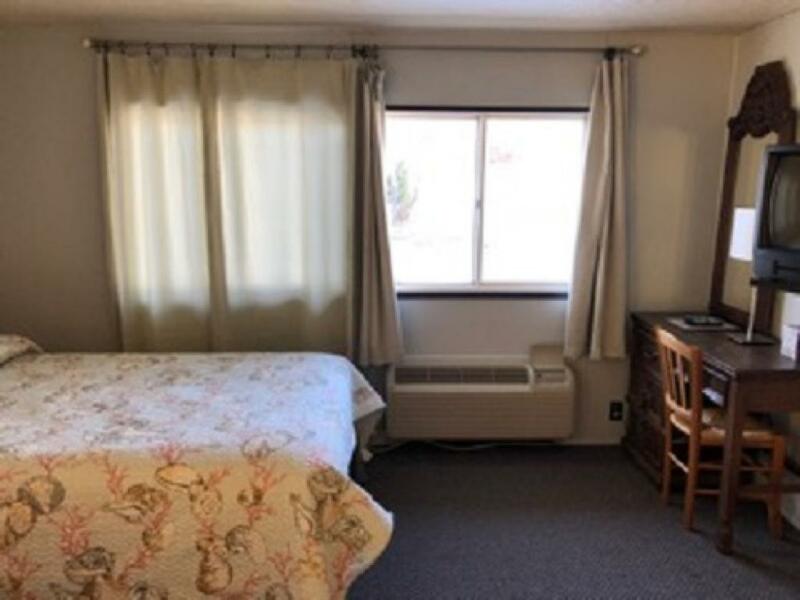 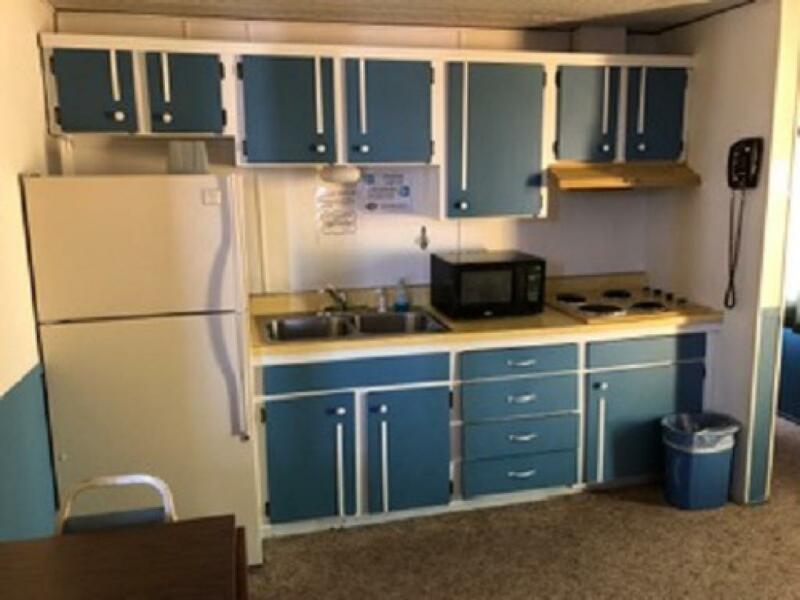 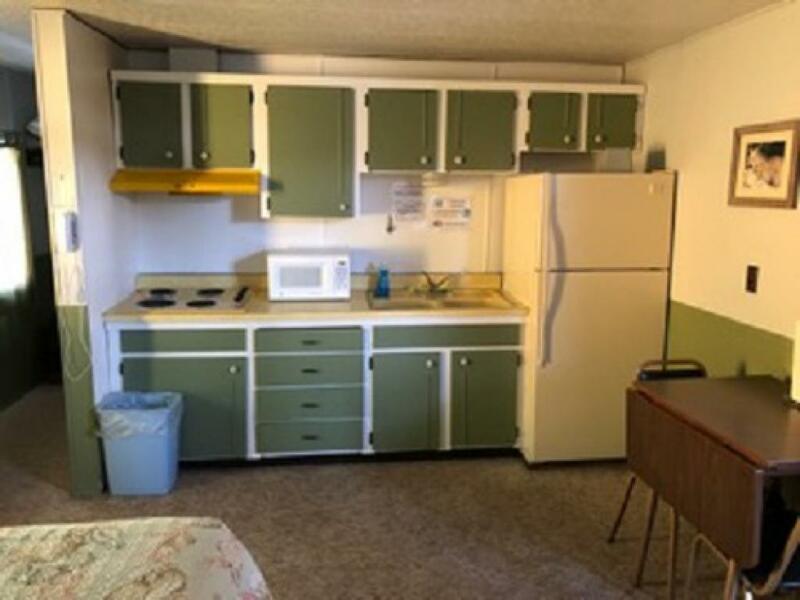 Kitchenette w two full size bed ,private bathroom ,full size refrigerator, microwave, stove (no oven), dishes, cooking utensils & pans, silverware, coffee pots, toaster, Air Conditioning, cable TV and FREE WIFI. 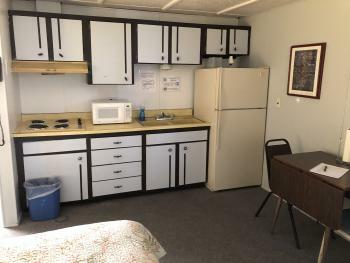 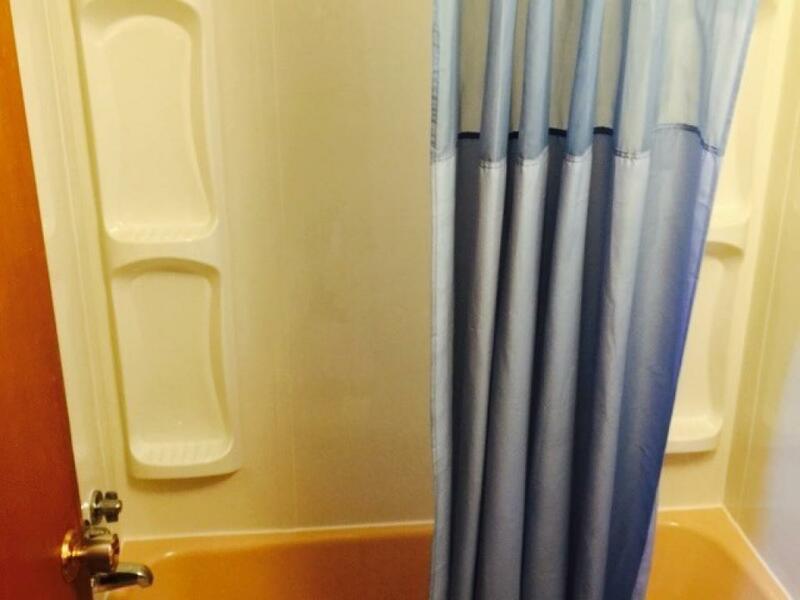 Kitchenette w two full size bed, Privte bathroom ,full size refrigerator, microwave, stove (no oven), dishes, cooking utensils & pans, silverware, coffee pots ,toaster, Air Conditioning & Cable TV and FREE WIFI. 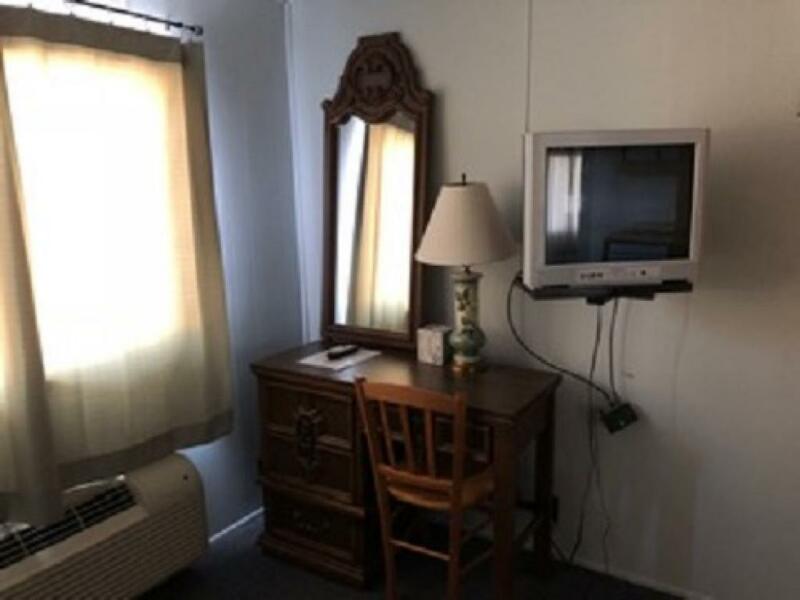 Up North decor with 2 Queen beds,Air Conditioning, cable tv, mini fridge & microwave,Free Wifi You are in Northern Wisconsin now, enjoy the unique lamps and tapestry. 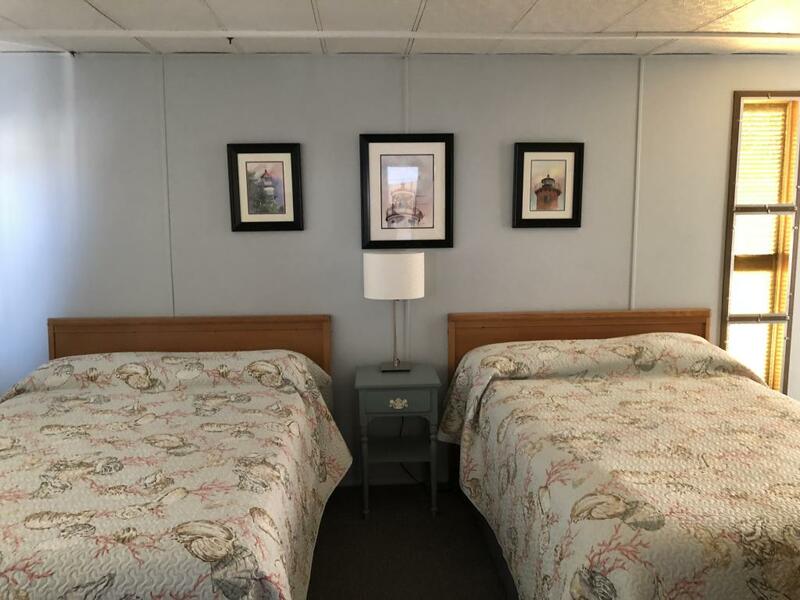 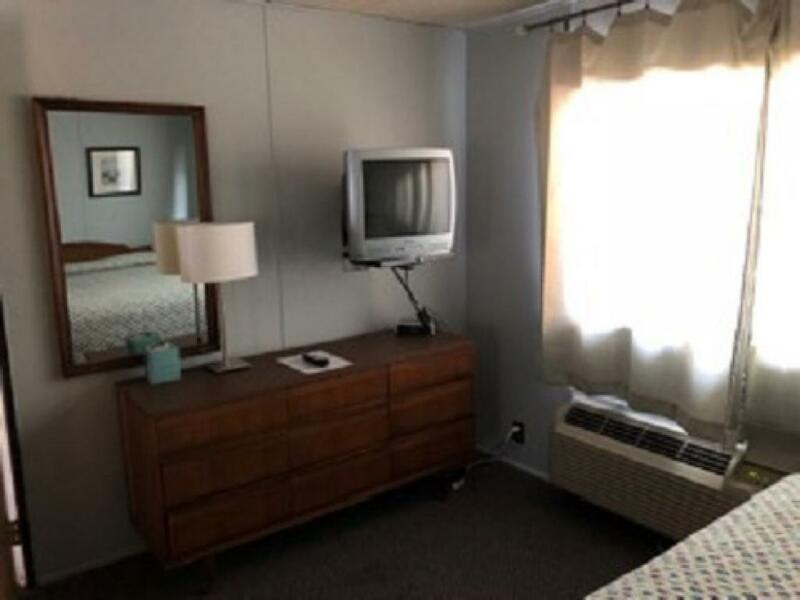 Kitchenette w one queen size bed and sofa bed,private bathroom ,full size refrigerator, microwave, stove (no oven), dishes, cooking utensils & pans, silverware, coffee pots, toaster, Air Conditioning & cable TV, FREE WIFI. We offer standard rooms with queen size beds and kitchenettes with full size beds. All our rooms are equipped with A/C, Cable TV, Microwave, refrigerator and free wireless internet. 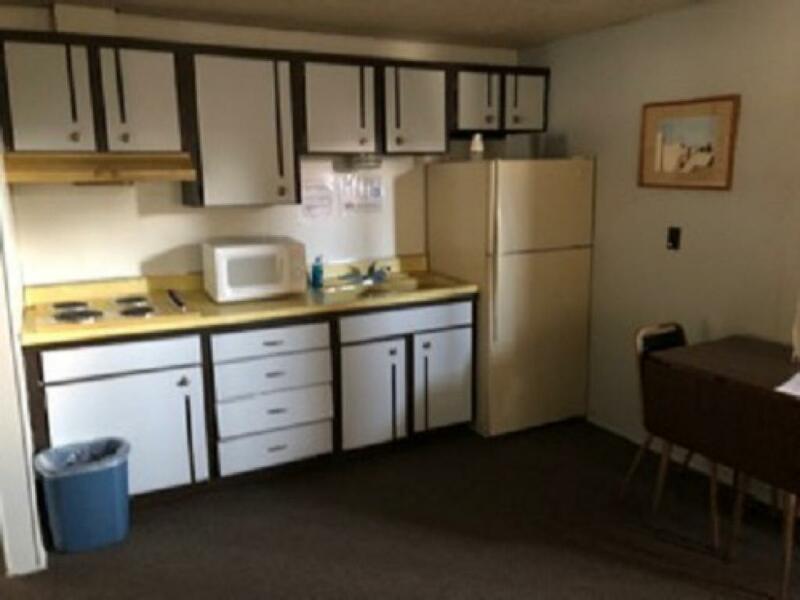 The kitchenettes are fully equipped, including full size refrigerators and coffee makers. 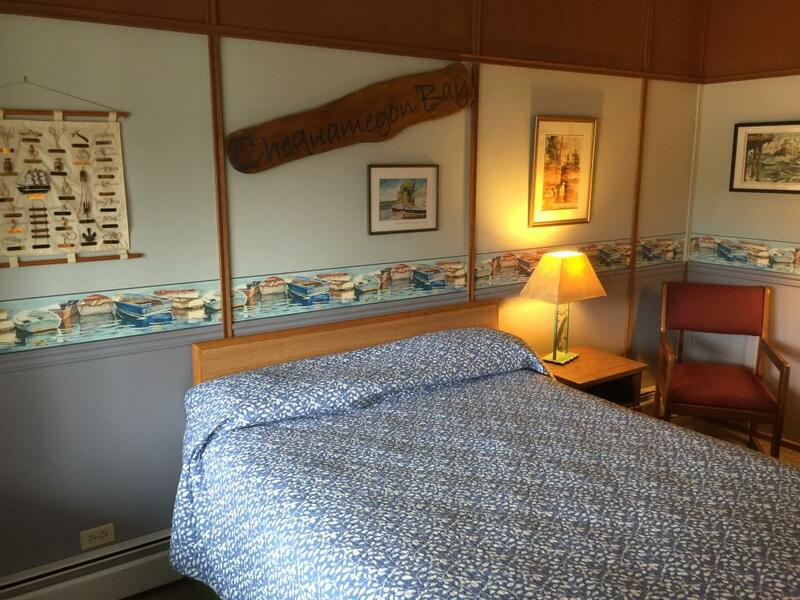 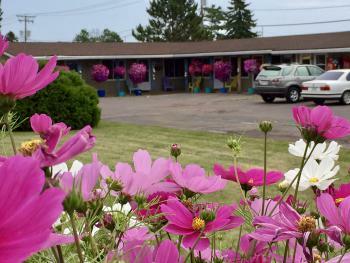 Located in Washburn, on the south shore of Lake Superior, we are close to the marina and dining options. 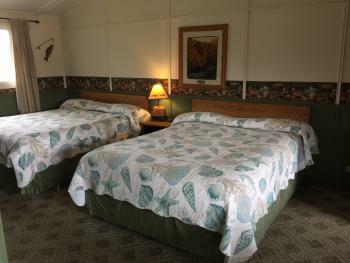 All the rooms are non smoking. Take WI-32 N to WI-29 Trunk W to US-51 N/WI-29 W in Rib Mountain.